Sunday brings a game between two teams that share the idea of what good football is all about. 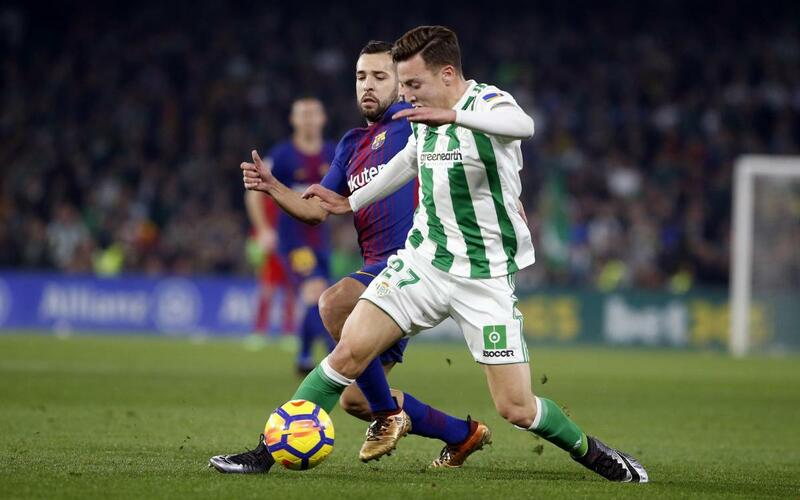 Barça and Betis, and what is the same, Ernesto Valverde and Quique Setién, the respective managers, like their teams to take the initiative – and that means possession. And we have the stats to prove it. It’s no secret that Barça like to keep the ball. It’s part of the famous philosophy that the world knows and loves. With 68.34%, the Catalans once again lead La Liga in that statistical category. In fact, they lead Europe’s top five leagues. But with Manchester City, Bayern Munich and Chelsea in second, third and fourth… who do we find in fifth? Why, it’s Betis. They may be down in 14th in the Liga table, but it’s not for want of possession. The Andalusians have spent a whopping 67.46% of the current campaign with the ball at their feet. The only way to ensure possession is to get your passing game right. So it follows that the two clubs are also out on front in that aspect too. The top four passers this season (Ivan Rakitic, Aissa Mandi, Marc Bartra and Gerard Piqué) wear blaugrana or green-and-white. And Sergio Busquets, Jordi Alba and Sergio Canales are not far behind! Here’s an infographic of the top 12 passers of the 2018/19 season so far, half of whom will be appearing in Sunday’s game.